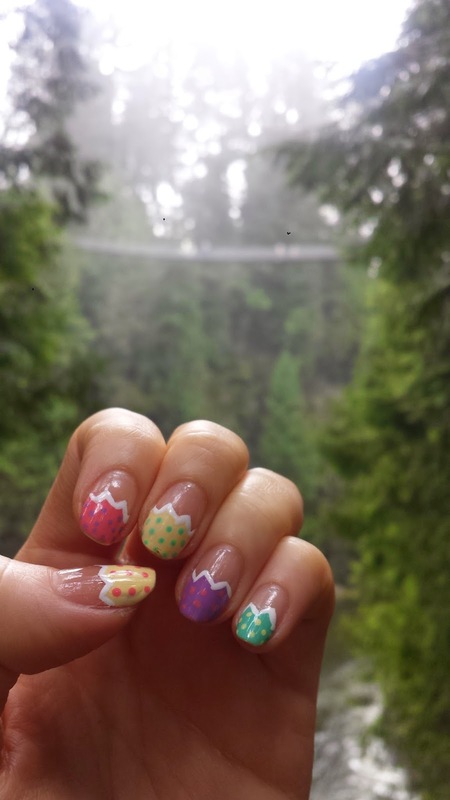 A quick colorful cracked Easter eggs nailart using my crafty scissors and stickers again! 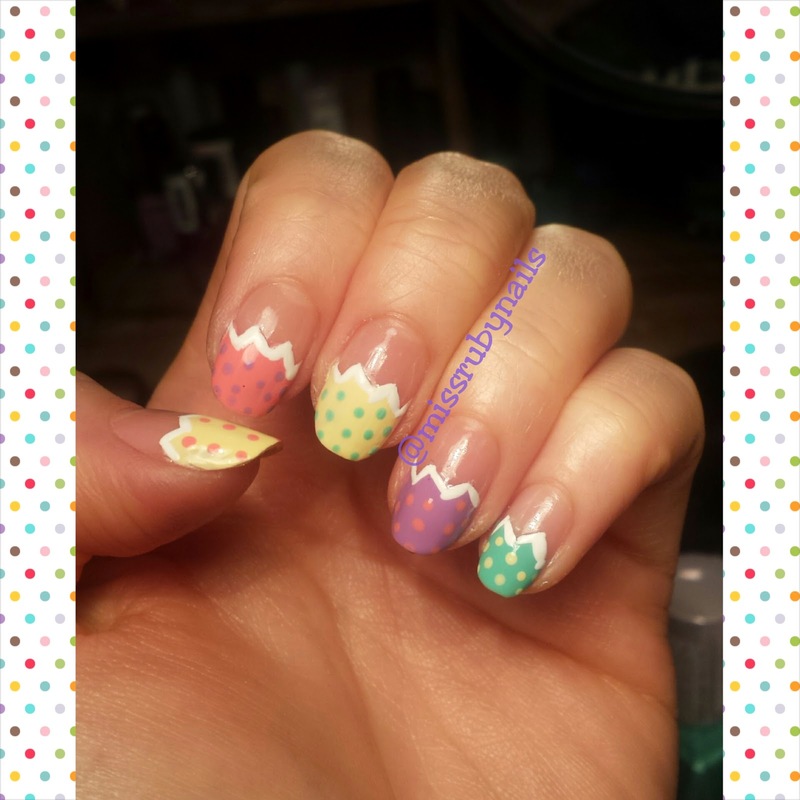 Here I used a combination of pastel colors and polka dots with contrasting colors. I used the zigzag scissors to cut the paper stickers in half as my guide for making the cracked egg shells. 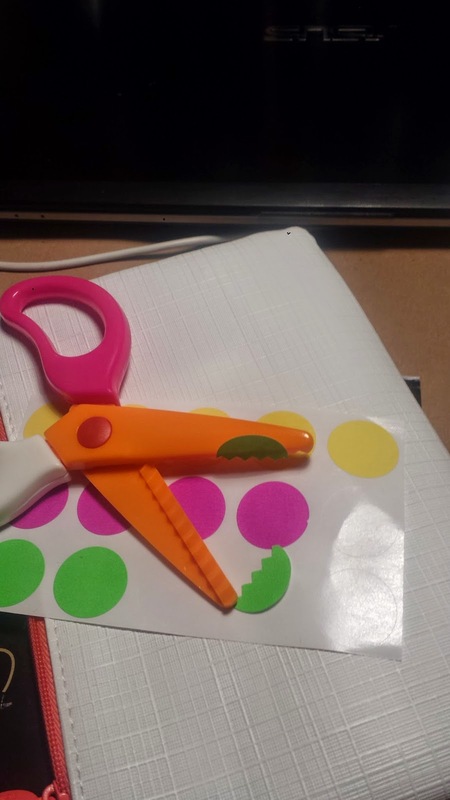 Click HERE to read about tips and trick for using these crafting scissors. 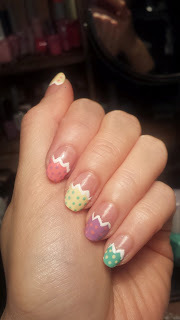 The zigzag did not turn out perfectly so I lined it with a white nail striper.